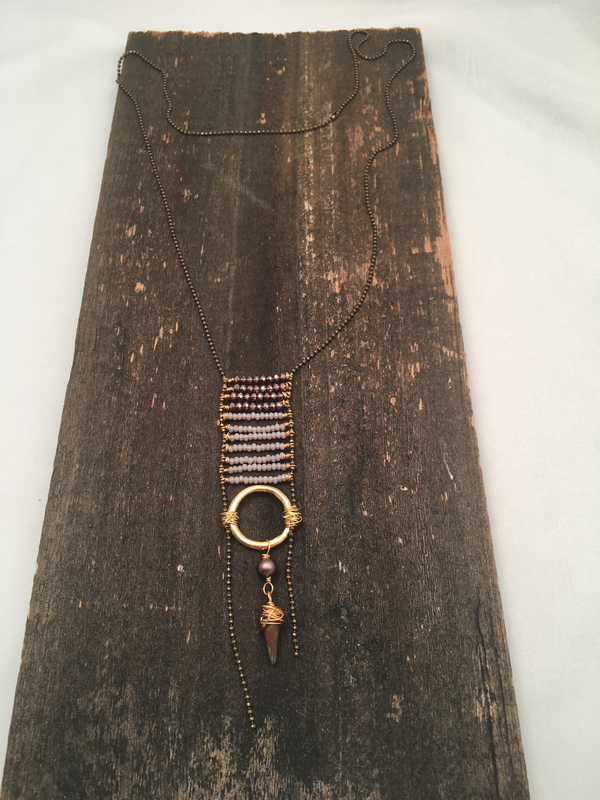 This fun necklace is made from base metal, crystal, Czech glass and a freshwater pearl. It is 26 1/2 inches around on tiny brass ball chain with a lamp pull clasp. 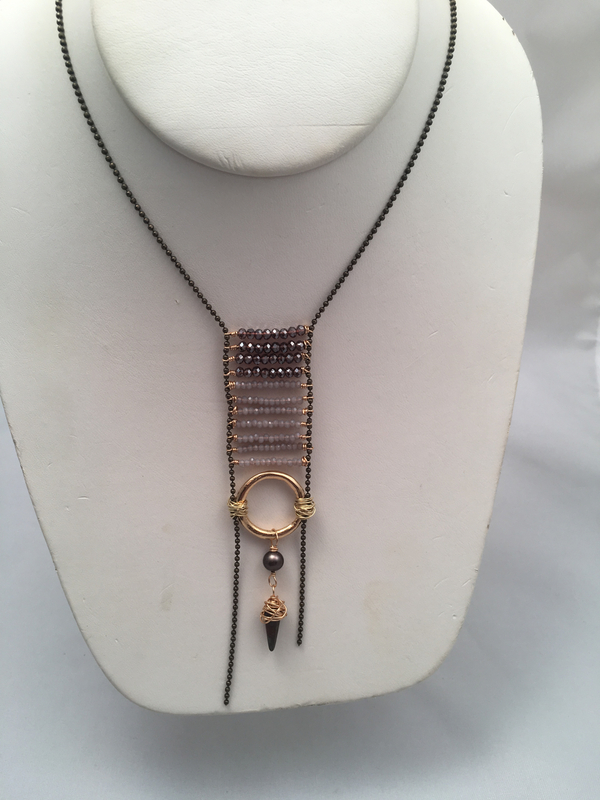 There is 4 1/2 inches more of ladder rows, hoop and the spike pendant. It would most likely go over the head without need to unclasp. Caring For your Jewelry: Sterling silver, copper & bronze naturally oxidize over time when exposed to air and other corrosive chemicals, including but not limited to, lotions, perfumes, chlorinated or salted water. In addition, wearing your jewelry while bathing is not recommended as the water vapor and chemicals in the water will speed up tarnishing. Should your jewelry require cleaning, you may use a liquid soap (such as Dawn dishwashing liquid) mixed with water. Rub gently and pat your jewelry dry with a soft cloth. Jewelry should be completely dry prior to storage. Natural stones and glass jewelry can shatter. Dropping jewelry on hard floors may result in breakage. All designs and photos are copyright to Lynsey Richelle.